Every day we drink and use chlorinated tap water. Chlorinated water keeps our tap water clean by disinfecting germs and bacteria in the water. Chlorine is cheap and effective solutions on city's tap water clearance on eliminating harmful elements in the water. Unfortunately, chlorinated water has negative effects as we drink more and more. Chlorine is a powerful but toxic chemical that causes cancer, renal problems, cardiovascular problems and more. 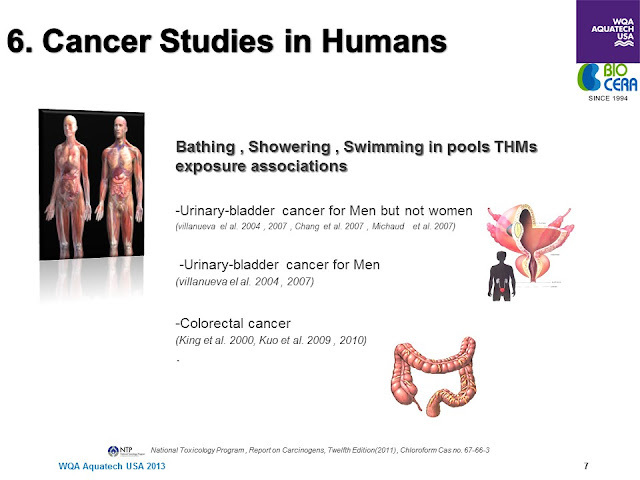 According to Meta-analysis made by Institut Municipal d'Investigacio Medica Barcelona Spain, chlorinated water was associated with an increased risk of bladder cancer particularly in men than women. 6,084 cases were determined as bladder cancer patients found whom had used chlorinated water over 40 years period. Consumption of chlorinated water destroys our body's beneficial gut bacteria and prevent our immune system to operate properly. What could avoid chlorinated water that destroys our body? BIOCERA Antioxidant Hydrogen Alkaline water is a great alternative that helps to improve our body's metabolism and remove acidic wastes from our body using natural healing process. Learn more on our BIOCERA page. Click here for more information. Check our Dr.Jeon's video at WQA USA. Detailed information on chlorinated water, plus benefits of BIOCERA Antioxidant Hydrogen Alkaline Water. AHA (Antioxidant Hydrogen Alkaline) water will change your life! Live healthier.